New 2016 TA1 completed for its owner! NorthEast Race Cars & Parts, Inc. and its staff have over 50 years combined knowledge of the racing business. 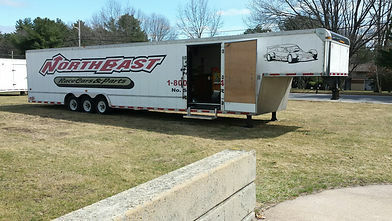 Providing racers with the parts they need through our retail warehouse facility and our fully stocked race support trailers at events throughout the Northeast. Our large stock of inventory allows us to ship the parts you need right away, usually the same day, with the technical support and quality product lines we have used ourselves for years.